American art tiles – amongst the best in the world? Are American art tiles the best in the world? Filmore Clark Founder, Lee Nicholson, believes they are at least amongst them. 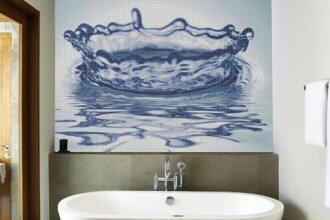 She came to that conclusion while working in the rich tile environment of Country Floors. Her passion for artisan tiles drove her to open her own showroom offering renowned collections such as Pratt Larson, Tempest Tileworks, Tile Guild and KJ Patterson. Filmore Clark showcases domestically manufactured collections only, For clients interested in reducing their environmental impact, there’s a lot be said for not transporting heavy goods half way around the world. And when you see these tiles you have to wonder why you would need to. We love this. 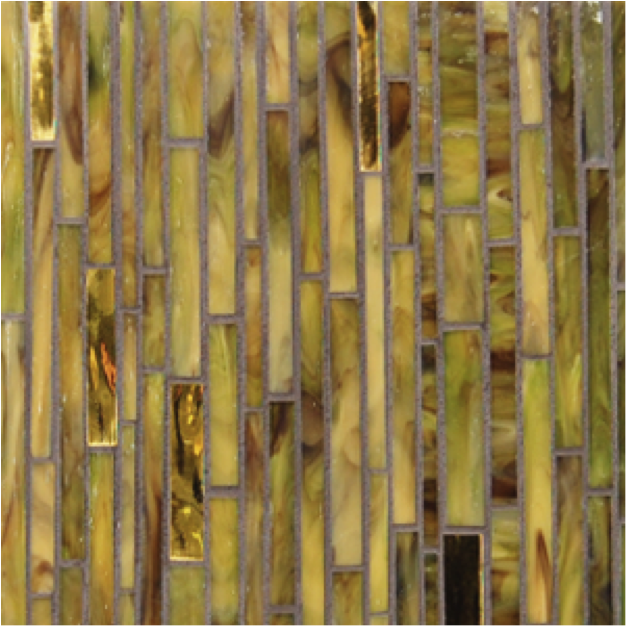 It is Zen Garden pattern mosaic from the Kaleidoscope Collection in Metamorphosis. There is just so much going on in the colours. Wonderful in the right sort of bathroom. 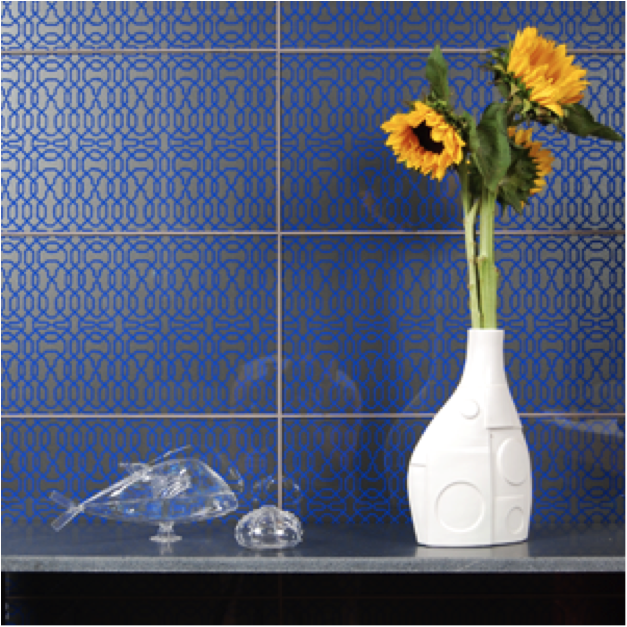 Azure Escape from Chiaro Motifs, a uniquely patterned glass tile system inspired by traditional design elements. 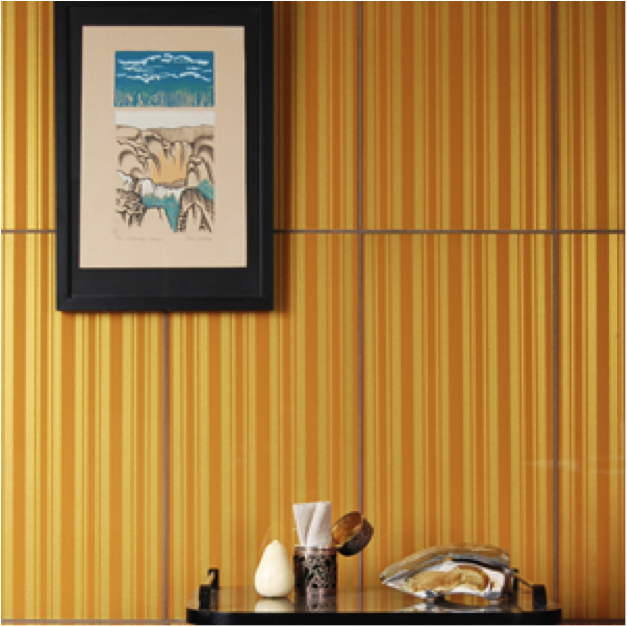 Veranda Stripe, also from Chiaro Motifs. Tiles as wallpapaper? 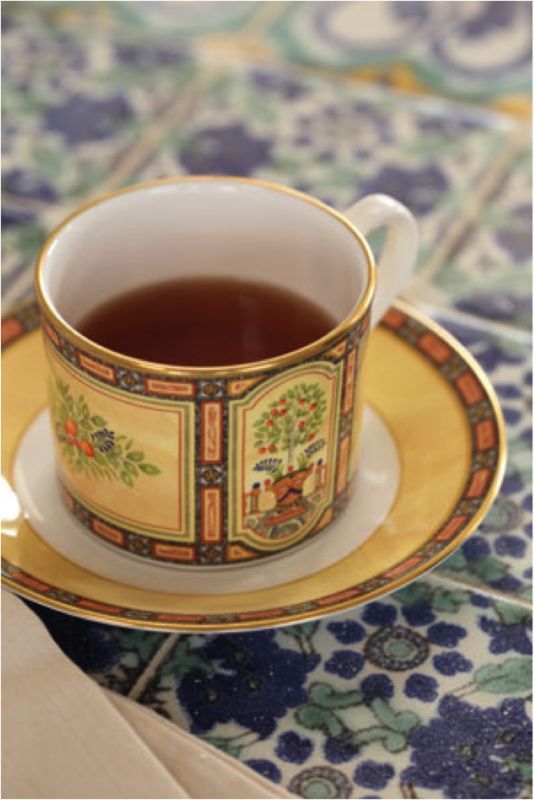 Part of the Maroc II Collection, reviving the North African style of tile making. Wonderful mixed, matched or highlighting other designs. This line is made to order, allowing each design to be specified in alternate colorways.